I am posting today and last week's e-mails today. Mason's e-mail last week was really short since we had just Skyped with him on Christmas and I didn't get it posted last week. This week not too much happened with us - things were still a bit slow this week. We pretty much just did some finding so not too much went on the first few days this week. 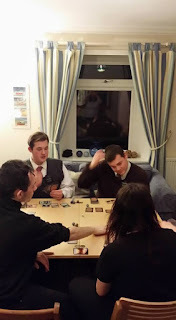 On New Years Eve we went over to the Farquars again and played the card game Magic the Gathering (which is the game we also played with the Austins) that was way fun. New Years not much happened - every one is a little too far out or was just busy so we didn't go anywhere, but we did spend the day at the church watching the new Cinderella on the projection screen we have at the church so it was good just to chill out. Then Friday after going to Arbroath in the morning for a bit we went back had lunch then went and saw the Austins!!! 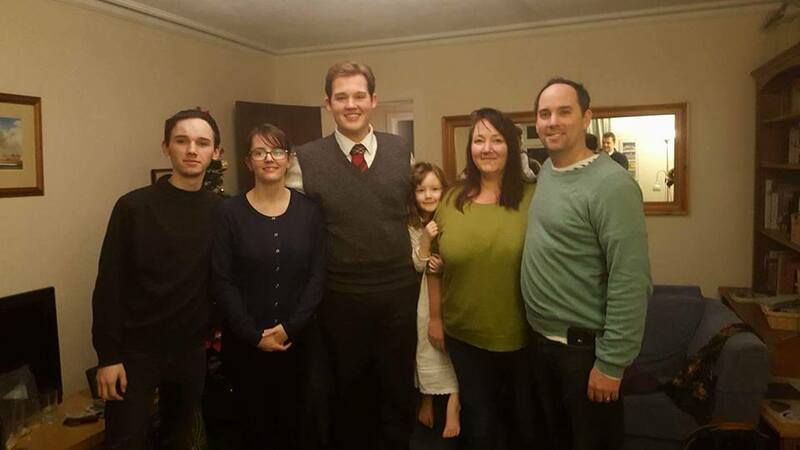 (The Austins are the family that Mason taught in Cumbernauld and they just got baptized a couple of months ago. They drove up to Montrose for the weekend to see Mason.) That was so much fun, it was so good to see and catch up with them. We really just talked for a while played Magic and had a really good steak dinner. Then they came to church on Sunday and the whole ward loved them. After church they were all saying that they want the Austins to move up here. Then later we went and saw the Austins again and they said they really liked Montrose. But it was really fun to see them and they said they will come and see me in the summer so that will be awesome seeing them again before I go home. So yea that was our week. We haven't been able to see anyone this week but we will be seeing the Ewarts this week and hopefully start seeing the Newtons again as well as William and Shannon so things will start picking back up now that the holidays are over. Sorry it's not a very exciting email again. Love and miss you. Here are some pictures that the Austin's posted on Facebook from their visit with Mason. Not to much to report on this week - we didn't see anyone this week. We set stuff up with William and Shannon but they all fell through. We hopefully will be seeing the Ewarts this week we need to call them and see. 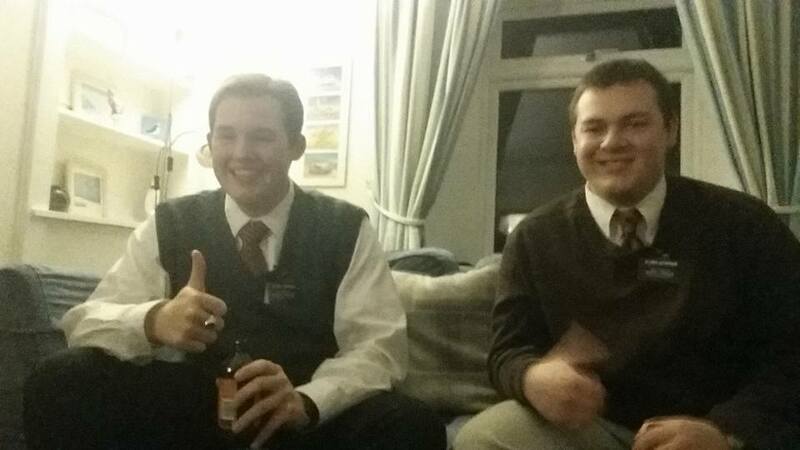 On Christmas after the Skype we stayed at the house of our first counselor in the bishopric until about 9:15. Boxing day (the day after Christmas) we really didn't do anything it was just a chill out day. For New Years Eve we might be spending it with the Faurqurs daughter Lea and her husband Jordan again and just play some games. But sorry not to exciting this week. But now that the black hole year (the one entire year you spend out on a mission) is almost over it will just fly by. Love and miss you. Here are a couple of pictures from our Skype call on Christmas. Thanks for this great piece of information dear. Actually, I am looking for certified corporate event planners and team who will assist me to find some finest venues for my party. Please give some good recommendations.